The Vine December 2015 - New & Mobile Friendly! Farm Spotlight, Upcoming Events, Winter Farmers Markets + MORE! 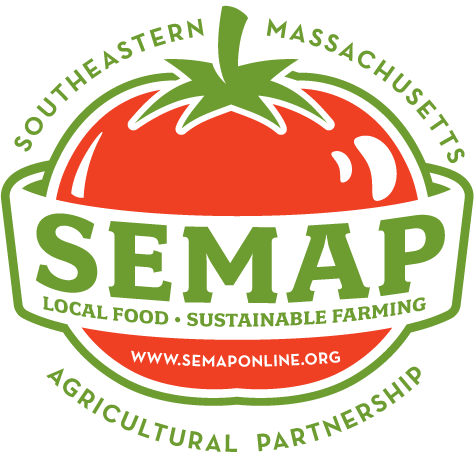 I am excited to be hired as the new Executive Director of the Southeastern Massachusetts Agricultural Partnership. I realize it’s the traditional thing to say, but when I have such a tapestry of farms and diverse array of farmers across the region to work with, it is amazingly true. After the first six weeks on the job, talking to farmers across Norfolk, Bristol, and Plymouth counties, I have begun the groundwork necessary to represent and promote farming and local food production in our part of the state. I can see the diversity of needs and levels of experience. I bring to the job a passion for agriculture as well as 25 years of organizational experience. Working for non-profit scientific organizations, I have a diverse array of management skills and a ‘big picture’ understanding of agriculture and the environment in a global context. Click here to continue reading. Happy winter! With the change in season, we also decided to change our newsletter. This is a project I’ve been meaning to tackle for few months, but we’ve pretty busy over here at SEMAP. Our newly designed Vine is now mobile-friendly. With a lot of folks now reading e-mails on their phones, we wanted to make sure that everyone can easily read the SEMAP newsletter, no matter if you’re on a tablet, PC, or on the go. Gibbet Hill Farm seeks Assistant Manager and Farm Assistants. More information. See Your Farm or Business Spotlighted! We are looking for applicants for our Farm & Sustainable Spotlight sections of the Vine! The Vine is sent to our list of 4,000 email addresses each month, and we want to use this excellent opportunity to showcase innovative, talented, and dedicated local farmers and entrepreneurs. Own a farm or business, or just want to see one of your favorite places or products highlighted? Send an email over to Kendra at kmurray@semaponline.org with your suggestions.